Dutch solar developer GroenLeven has announced that it is building a 48 megawatt (MW) floating solar PV project on an old sand extraction site in the Netherlands which, upon completion, will be one of the largest in the world, and the largest in Europe. 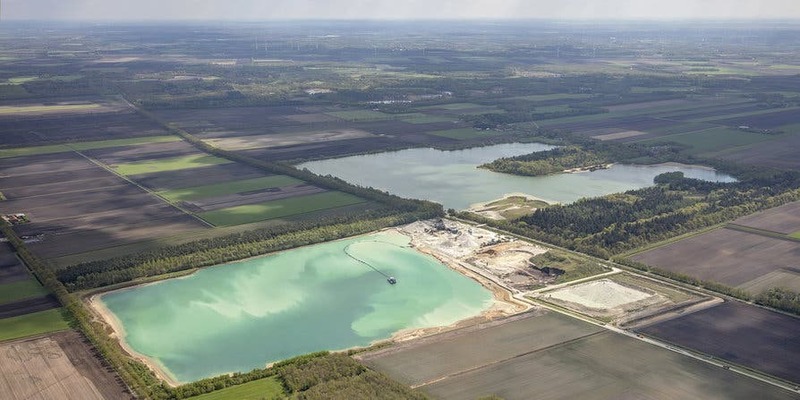 The new floating solar park will be built at the Zuidplas in Sellingerbeetse, in the country’s northeast, at an old sand extraction site owned by Kremer Zand en Grind, one of Europe’s leading sand and gravel extracting companies. The electricity generated from the new 48 MW floating solar project will be delivered to Kremer Zand en Grind for its local operations, and being built on an old sand extraction pond opens the door for further development of solar on sand extraction sites. GroenLeven expects that the new project will deliver the equivalent electricity necessary for powering around 13,000 households and fulfills the company’s existing philosophy of creating solar projects that fulfill a dual function — such as installing solar on rooftops, parking places, landfills, and industrial sites. Kremer Zand en Grind is also using this new project as a catalyst to relocate a classifying installation for sand extraction located in the Noordplas and a drying installation currently located in Emmen to an industrial park in nearby Groningen-Zuid, to better optimize the company’s electricity usage by bringing the beneficiaries of this new floating solar park closer to hand. Additionally, Kremer Zand en Grind is also converting its drying installation from gas-fired to an electric dryer, removing a huge amount of gas from its energy mix each year. Further, by co-locating facilities the company will also reduce transport via pipeline of the sand from its extraction site, minimizing disruption to the local communities. It is also believed that other industries in the surrounding area may benefit from the floating solar project.